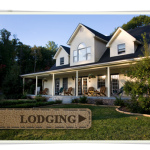 Privacy, comfort and peace await you at Big Pine Trout Farm, located in historic New Castle, Virginia, just minutes away from the Great Eastern Divide. Supremely comfortable, a trip to the spacious and airy Farmhouse is designed for relaxation, inspiration, and renewal to both body and spirit; its beauty connects you with the surrounding environment while ensuring your comfort and convenience. Throughout your visit, our proprietors will ensure that your stay is perfect and enjoyable in every way. 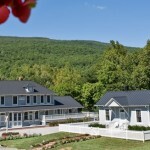 Upscale contemporary farmhouse, private spring fed trout stream, beautiful view of the Virginia mountains, nature trails, blackberry picking (June-August), fully furnished. Take a Video Tour on the Media Stream Page. “The Farm House” accommodates 6-8; 3 bedrooms, 2½ baths. “The Rainbow Cottage” accommodates 5-6; 1 large bedroom w/ 1 queen, 2 twins & 2 trundles. 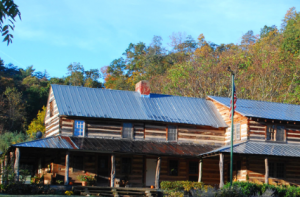 WAEL operates as a year round conference and retreat center, open 365 days a year for school retreats, corporate groups, family reunions, church trips, adventure weekends, yoga retreats, teambuilding, racing events, beer & wine tastings, vacations, and parties. We do it all and we are locally owned and operated and have been serving the Roanoke & New River Valley for over 20 years. Reservations required for all lodges, meals and activities so please call 540-864-6792 to book your outing today! 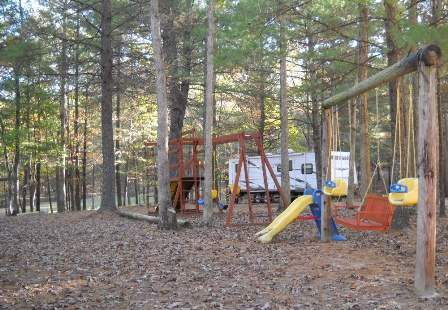 202 Country Campground Drive on Rt.. 311, 14.5 miles from I-81 & 5 miles from New Castle; Lat 37.4433, Long. 80.1163; close to Craigs Creek and hiking trails. 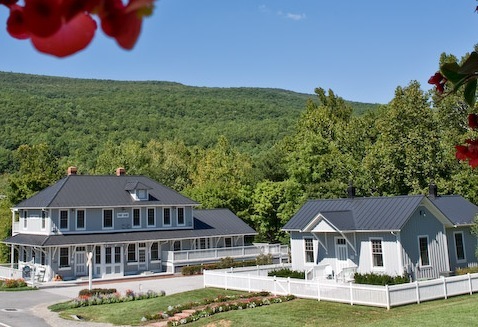 The Farmhouse was built in early 1800 and lovingly restored summer of 2015 by Steve and Faye Powers and family to recreate the old-time feeling we had at Grandma’s house. Fully furnished with antiques and family heirlooms providing a great place for relaxation, family reunions, and country adventures. Craigs Creek meanders on 25 acres offering hiking, kayaking, fishing, and more. 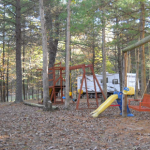 Lots of recreational opportunities in and around the area. Four bedrooms up and down, full bath downstairs, fully-equipped kitchen. Rented by the night, 2-night minimum. Contact Faye 540-330-8633 or TheFarmhouse277@yahoo.com. Located adjacent to Wilderness Adventure at Eagle Landing on 277 Cedar Rush Road. DO NOT depend on GPS systems.